Pneumonia is an inflammation of the lungs caused by an infection. Many different organisms can cause it, including bacteria, viruses, and fungi. 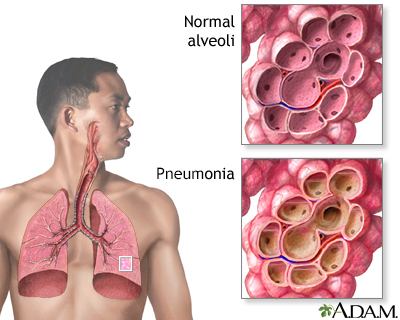 Pneumonia is a common illness that affects millions of people each year in the United States. The symptoms of pneumonia range from very mild to very severe, even fatal. The severity depends on the type of organism causing pneumonia as well as the age and underlying health of the individual.